According to a new mobile phone forecast from the International Data Corporation (IDC), worldwide smartphone shipments will reach a total of nearly 1.3 billion units in 2014, representing an increase of 26.3% over 2013. 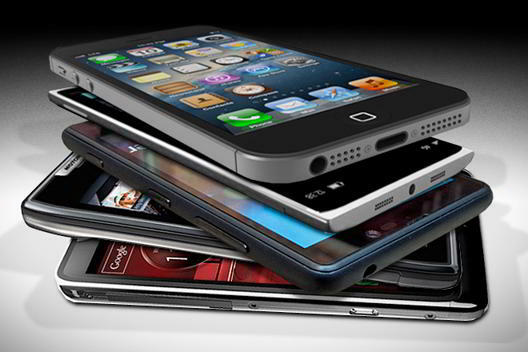 Looking ahead, IDC expects 1.4 billion smartphones to be shipped worldwide in 2015 for a 12.2% year-over-year growth rate. Slower annual growth continues throughout the forecast with unit shipments approaching 1.9 billion units in 2018, resulting in a 9.8% compound annual growth rate (CAGR) for the 2014–2018 forecast period. Smartphone revenues reflect a starker picture, as they will be hard hit by the increasingly cutthroat nature of pricing, resulting in a 4.2% CAGR over the same forecast period. On a worldwide basis, smartphones are expected to have an average selling price (ASP) of US$297 worldwide in 2014, dropping to US$241 by 2018. Emerging markets like India will see much lower smartphone prices, as ASPs hit US$135 in 2014 and fall to US$102 by 2018. In contrast, ASPs in mature markets are not expected to change significantly and modestly higher shipment volumes will not drive up overall revenues as each generation of flagship phones shows less and less differentiation from its predecessors. From an operating system perspective, Android devices will continue to drive shipment volumes while iOS devices drive revenues. By 2018, Android will control 80% of global smartphones shipped and 61% of revenues, while iOS will control only 13% of volumes and 34% of revenues. With Android volumes so dominant, it is no longer a possibility for new operating systems like Tizen and Firefox to compete on price alone – any underdog OS must bring a radically different appeal to gain any significant traction.